Encouraging open discussions of current environmental issues through speakers and debates. Reach out to us at anytime! Carolyn is originally from Los Angeles, California. She intends to practice Environmental Law and is passionate about Public Health and Animal Law. Carolyn has interned for the U.S. Environmental Protection Agency and Defenders of Wildlife. North Carolina bred, this beach babe joins us from Wrightsville Beach or the dreamy Dawson's Creek, as some of us refer to it. She intends to practice coastal preservation law and/or animal protection law. Recovering hippy and globe-trotter, this cosmopolitan is interested in environmental enforcement and intends to practice environmental litigation. She loves baking and daydreams of gardening and raising chickens. Born and raised in Atlanta, Georgia, Max discovered his interest for the environment while studying at the University of Vermont. As a student of environmental law, Max is most interested in sustainable infrastructure programs and renewable energy. When not studying, you can find Max agonizing over the Atlanta Falcons. Just a washed-up-student-athlete trying to save the animals. This dog-person has lived in Chicago, Dallas, San Francisco, and abroad, but he is now attempting to survive D.C. while pursuing International Environmental Law. As a proud wildlife nerd, he is particularly interested in the intersection between the conservation of endangered species, the illegal wildlife trade, and national security. Thinking about studying Environmental Law at WCL? WCL is located in the hub of the country when it comes to opportunities to extern at Environmental Protection Organizations and Agencies. Check out these events at WCL, in the DMV area, and across the country! AU is committed to building and operating spaces that are conducive to living, working, and learning and are environmentally friendly and healthy spaces. Green buildings reduce their environmental impact through energy and water efficiency, low-impact and healthy building materials, and sustainable operations and maintenance procedures. American University uses the U.S. Green Building Council’s (USGBC) Leadership in Energy and Environmental Design (LEED) rating system to guide new construction and campus operations. The LEED rating system is a holistic green building rating system that emphasizes both reduced environmental impact and promoting human health. AU has several buildings certified under the LEED rating system. American University is committed to strive for zero waste sent to landfill and incineration. Need to get away from the District? Check out these places! 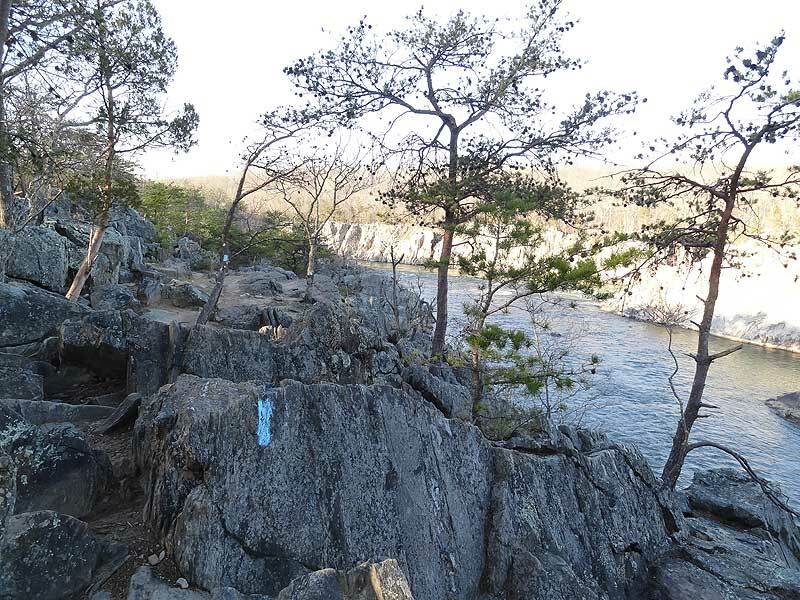 The Billy Goat Trail is one of the most well known hikes in the Metro D.C. area, and for good reason. 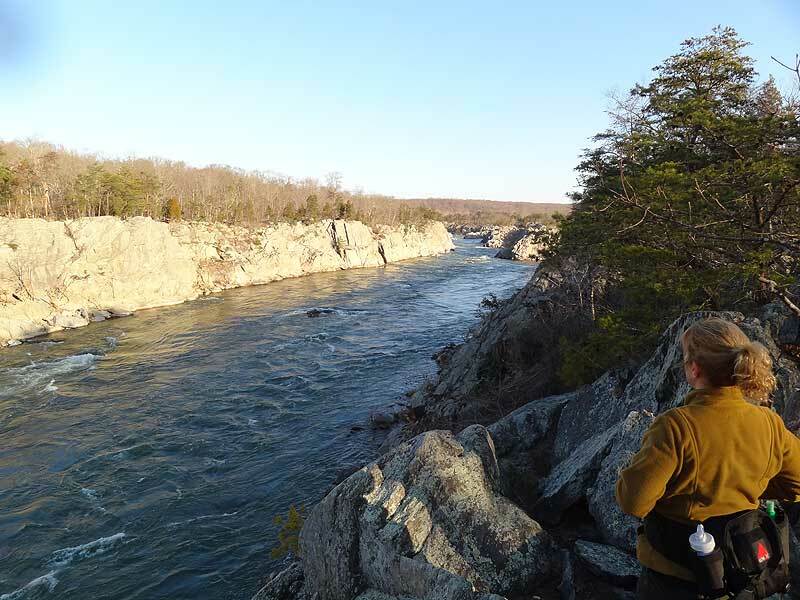 With nearly a mile of fun rock-hopping, and spectacular views of the Potomac River along the way, this circuit is loads of fun with plenty to see. We have the circuit rated as only a for difficulty, but be prepared to jump from rock to rock. Rock Creek Park is truly a gem in our nation's capital. This 1,754-acre city park was officially authorized in 1890, making it the 3rd national park to be designated by the federal government. It offers visitors the opportunity to escape the bustle of the city and find a peaceful refuge, recreation, fresh air, majestic trees, wild animals, and thousands of years of human history. Poplar Spring Animal Sanctuary is a 400 acre non-profit refuge in Poolesville, Maryland for farm animals and wildlife that relies entirely on public donations for support. Our mission is to offer care, rehabilitation, and permanent sanctuary for neglected, abused or abandoned farm animals, as well as providing a protected habitat for wildlife. We promote compassion and the humane treatment of all animals by educating the public on farm animal and wildlife issues. Interested in Environmental Law? Check out these fabulous Envrionmental Protection Organizations! CIEL seeks a world where the law reflects the interconnection between humans and the environment, protects the dignity and equality of each person. The Center for International Environmental Law (CIEL) is a public interest, not-for-profit environmental law firm founded in 1989 in the United States to strengthen international and comparative environmental law and policy around the world. With offices in Washington, DC and Geneva, Switzerland, CIEL’s staff of international attorneys provide legal counsel and advocacy, policy research and capacity building in the areas of biodiversity, chemicals, climate change, human rights and the environment, international financial institutions, law and communities, and trade and sustainable development. The CWSC is the only nonprofit based in the United States solely dedicated to the advancement of water security and the nonpartisan, impartial analysis and improvement of water law. Water security is a strategy that sets a clear purpose and direction for our efforts to guarantee we can meet current and future needs. Water is too essential a resource to leave its availability to chance. Our approach focuses on understanding the current role of law in advancing water security and identifying the opportunities to improve transparency, long-term management, and governance. ECOLEX is an internet database providing the most comprehensive, global source of information on environmental law. Operated jointly by the FAO, IUCN, and UNEP, it combines the environmental law information holdings of those three organizations. ECOLEX contains comprehensive bibliographic and analytical information as well as full text links to more than 1,100 multilateral and bilateral agreements, 62,000 on national legislation, 420 court decisions, and 28,000 records on literature on law and policy. Searching ECOLEX is easy. The portal offers a user-friendly Google-type feature by which the user can find information in all or selected datasets. For the more advanced user, ECOLEX includes specially tailored search forms for each of the datasets. ECOLEX covers all aspects of environmental and natural resources conservation, including subjects such as fresh and marine water, air and atmosphere, soil and land use, species and ecosystems, fisheries and forestry, hazardous substances and waste, as well as food and agriculture. All information has been analyzed and indexed in a standardized way, with descriptors such as country, name, territory, region, keywords, etc. harmonized. ECOLEX is free of charge and has a trilingual user interface that allows users to search in English, French, and Spanish. We stand side by side with these communities in their struggle for justice. EarthRights International (ERI) is a nongovernmental, nonprofit organization that combines the power of law and the power of people in defense of human rights and the environment, which we define as "earth rights." We specialize in fact-finding, legal actions against perpetrators of earth rights abuses, training grassroots and community leaders, and advocacy campaigns. Through these strategies, EarthRights International seeks to end earth rights abuses, to provide real solutions for real people, and to promote and protect human rights and the environment in the communities where we work. Check out the latest environmental news! The Environmental Law Society is a student organization dedicated to creating an awareness of current environmental matters and the legal issues surrounding them. Our mission is to encourage students and community members to support environmental initiatives. We accomplish this mission by keeping students and the community informed of important issues in environmental law and policy, promoting environmental scholarship, advocating for environmentally sound decision-making, and by providing opportunities to enjoy our natural environment and its irreplaceable creatures. The name of this student organization is the Environmental Law Society (“ELS”). ELS allows students to explore issues related to environmental law and policy. ELS contributes to the law school community by promoting various educational and networking opportunities for students who aspire to enter the field of environmental law. In recognition of the importance of sustainable development practices, ELS members are encouraged to advocate for the WCL community to engage in sustainable practices, inter alia, energy and water conservation, diet, recycling, and for the reduction of consumption. ELS members may pursue any activity that ELS officers deem relevant and beneficial to furthering the goals of ELS, as long as the activity is not prohibited by any policies of American University or the Washington College of Law. Any student or faculty member of the Washington College of Law, or any graduate student of American University, is eligible to be a member of ELS. Membership in ELS is voluntary and a member can terminate membership at any time. To obtain membership a student may register with ELS by e-mailing els@wcl.american.edu or by signing up at any event at which ELS has prepared a sign-up sheet. ELS shall not discriminate on the basis of ancestry, color, race, cultural or ethnic background, economic status, ideological, philosophical, or political beliefs or affiliations, marital or parental status, national or regional origin, physical or mental disability, religion, or religious or denominational affiliation, gender or sexual orientation, dietary habits or environmental practices. All Board Members cooperatively spearhead the coordinate of events and programs. Preside at all meetings of the Executive Board, Student Advisors, and General Body. Determine and formulate agenda items for Board meetings taking into consideration the recommendations of the Executive Board, Student Advisors and General Body. Coordinate the presentation of the Board’s public statements representing the position of the Board and issue statements to the press, when appropriate. Keep the Board focused on the mission, vision, and goals set forth in the ELS Constitution. With the assistance of the Treasurer, develop for the Board’s review, a budget for each semester. Attend SBA Finance Committee meetings, as needed. Assist the President with every day matters. Assume the role of President for an event or meeting when the President is unable to attend. When the President is unable to carry out his/her duties, the Vice President will assume the duties of the President. Maintain the ELS web page. Call and organize at least one meeting per semester to prepare the budget for the following semester. This meeting should be scheduled at least one week prior to the SBA deadline for budget submission. Maintain adequate communication between the Executive Board, other members of the Society, and the public. This includes but is not limited to: meeting announcements, announcements regarding special events and functions and communications between the school administration and the society. Take minutes at executive board meetings. At the discretion of the Executive Board, former Executive Board members, and/or 1Ls, may be retained in an advisory role. ELS shall have a Faculty Advisor selected from the Environmental Law faculty at the Washington College of Law. Each candidate for office must submit a statement of interest. If a vote is necessary, the Executive Board shall determine the appropriate means of voting. Candidates shall be elected by a majority of ELS members. Election of the Executive Board shall be no earlier than March 15 and no later than April 15 of each academic year. The term of office shall be one academic year or in the case of mid-year replacement, from the time of the replacement until the new officers are elected at the Spring election. Impeachment proceedings shall be at the discretion of the Executive Board. A three-fourths vote shall be required to replace an Executive Board member. ELS may solicit funds in any manner consistent with Washington College of Law policies and procedures. The financial management of ELS is the responsibility of the Treasurer. In accordance with our mission to foster awareness of current environmental matters and the legal issues surrounding them—all ELS events must serve food that is environmentally sustainable. Mammals are inefficient convertors; their production is environmentally costly in terms of water used and greenhouse gases [GHG] generated. The production of one pound of beef consumes over 2000 gallon of water, whereas gran production consumes 200 gallons, and vegetables 100 gallons. Cattle contribute about 60 million tons of GHG per year. Therefore, our executive board shall order food that is efficient and unrelated to animal agriculture. All proposed amendments to the ELS Constitution shall be made in written or electronic form and submitted to the Executive Board by any member, officer, or advisor of ELS. Elected officers and student advisors have full authority to implement and interpret the mandate of this Constitution. That implementation and interpretation shall be binding to the extent of its constitutionality. However, any questions of the constitutionality of the actions of the elected officers or student advisors shall be settled at a general meeting of the membership with a simple majority vote. The operation of ELS shall be in accordance with any bylaws. Any amendment to the Constitution must be approved by a majority of the Executive Board when all members of the Executive Board are present, in person or by telephonic or other electronic means deemed appropriate by the Board as a whole.